Why is it that those who have the truth like to argue; and those who do not have definitive answers for their beliefs, do not like to argue? It annoys me that people say that i just like to argue about tithing. I don’t like to look at it as arguing. I like to see it as spreading the truth. Sure, we could say that there’s no sense in arguing, but you see it all the time in the bible. The truth of the matter is that as long as wrong has the opportunity to infiltrate right, then there should always be arguing. Whether you like the tension or not that is created because of arguing, you should never be one to go against it. I guess “arguing” is a bad word. I guess you could say that it is more along the lines of “stating your case”. Doesn’t “witness” come with the meaning of standing up for your beliefs? All I’m trying to say is don’t be upset for my tithing arguments. Don’t look down upon me because i am strongly opposed to mandated giving. Don’t shut your opposition up either. I can say that my experiences so far in life have shown me how not to be. There has not been much experiences in my life that have shown me how i should be. I guess i could say that is true up through my life in college. Once outside of college i became involved with a bunch of friends that were able to show how to be. One of the things we did often was discuss and debate issues in the bible. People think that if you are debating that you are questioning God. Arguing can be a part of seeking God. Most of us have the same goal right? We want to do our best and to do what’s right. To simply state that you don’t like to argue, is stating that you think you are always right and do not want to change your ways. If we were all perfect, i could go along with the peaceful non-argumentative discussions, but the problem is that I am not perfect. You are not perfect. Iron sharpens iron, right? You can’t sharpen iron without beating it and heating it. You are not going to sharpen iron by just polishing it. Iron is strong, just like our stubborn personalities. We have to be beaten. A soft polish will not help us become sharper. Positive thinking and conversations that do not consist sometimes of debating keep us dull. I know what some of you are thinking, “I stay sharpened by praying, reading my bible, and fellowshipping at my church.” I would say to you, “WAKE UP!” There is a literal battle going on between good and evil – between right and wrong. And here we go just, fra la la, thinking that the absence of conflict means that everything is good. You are SO wrong. The absence of conflict means that you are not in the fight you dummy! Church history over and over has repeated this mistake. We don’t like to debate and we don’t like conflict so we’ll just divide and separate ourselves and begin a whole other denomination. Instead of creating arguments and debate that is healthy for growth, we’ve decided that what we believe is right and separated ourselves from all those who are so very wrong. We’ve gotten out of the fight, and became complacent. Every single denomination is a testament to the fact that what we think is right, and what everyone else thinks is wrong. We think we have it all figured out. We will just call ourselves Baptist’s, Methodists, Lutherans, Pentecostals, that way everyone knows what we’re about. Our identity portrays our core denominational beliefs and allows everyone to separate out the wheat and the chaff. Ok, back from the denominational rabbit trail. In my experiences arguing the tithing debate, there have been countless times where people have bowed out of this discussion because they do not want to debate. I call them feather Christians. They fight with a feather instead of a sword. I post many comments on blogs that are very thoughtful and even open minded but my comments are not approved just for the fact that they disagree and don’t like arguing. I guess that’s what prompted this post. I posted on a blog on some financial website and my comments were never approved. Instead that blogger just posted his own comment stating his criteria for allowing comments. Suffice it to say he has had very little comments. Another note about that blogger is that the very few comments that are left are mostly comments praising the blogger. A pride issue? I don’t know. . . maybe? I can say for myself that i don’t have any ethical or moral guilt about arguing. Arguing and debating fuels me spiritually, and mentally. It forces me to search the scriptures, and find out the truth. It helps me pursue God. Even though i have put so many hours into tithing studies, i have corrected and tweaked so many of my writings due to ability to debate. I would venture to say that debating fuels a lot of men. Us men want a fight. We want a challenge. I’m sorry ladies but that’s how we’re fueled. That’s why we watch sports or play video games(for those of you who do not watch sports). I am addicted to both LOL! Is there a right and wrong time to debate? Sure there is. Do i start debating every time i hear the word “tithing”? No. But i am always ready for a good challenge? How about you? You may post anything you want from this website. For credit purposes, just make sure you have a link to this website as your source. Thanks! It is refreshing to be able to speak without fear of being labeled a traitor, rebellious, fearful, etc….. God bless your boldness. I will post more later. Sometimes people look at tithing as being told what to give and how to give it. I can understand the offense that that may cause. However, I’ve been part of a church where we’ve had to sack a Pastor because we could nolonger afford to pay him. The church leaders worked out that if every member of the church was on the minimum government payment (not even a wage) and they each gave only 10% of that income we would have been able to continue to pay the pastor. Being down a pastor meant that ministries were stopped, pastoral care within the congregation had to be reduced because there was one less person to provide it and ultimatley the church’s opportunity to witness in the community was decreased. I believe there are people who missed a chance to hear the gospel and witness God’s power in action because a community of believers struggled to let go of a portion of what God had blessed them with. Bottom lines and budgets don’t matter eternally, but people’s souls do. That’s why I make a choice to tithe. Thank you for the opportunity to share my experience. Hope you may be able to help? We are doing a film project and would love any kind of support. Our film is on Religion and its effects on the Economy. Tithing is one of the theams in our documentry. We feel no one has ever intencly done an intencive study in to tithing and how other religions practice it, not to mention the after effects? Could you please help us in any way or form. This might be through statistics or put us in contact with people that would help put the film together. P.S. I am from Australia, right now live in Ukraine gathering material for this documentary film. Get a copy of The Tithing Dilemma and the Triumphs of Love. You will find a lot of help in there. Then come and share if at all you would have benefited from it. Please read Hebrews 10:8-10(NLT)why do you want to argue with what the bible clearly says?Unless you a greater than Apostle Paul or know more than him.In the old testament the Jews were commanded by Moses to bring all the animals and all the food,harvest,required by the law to the Levites so that they can present it to the High Priests.That means their tithes,sin offering and all other offerings(Read Leviticus 27:31,Deutronomy 12:6,Nehemiah 12:44)Hebrews 10:9(NLT)says that GOD CANCELS THE FIRST COVENANT IN ORDER TO PUT THE SECOND INTO EFFECT.Read Hebrews 9:13-14 the High Priest used the animals and pigeons the people offered for all the cleansing ceremonies and offerings that was done.Jesus was not a Levite if He was here on Earth He is not allowed to receceve any offering or tithe here.Hebrews 8:4(NLT)says it all.UNLESS YOU ARE A LEVITE YOU CANT RECEIVE OR PERFORM ANY CEREMONIES.Thats why King Saul lost his kingdom when he offered up a burnt offering. Money Tithes makes pastors into winners by the worlds standards. Sucsess is very earthy big churches and prominance. Jesus wanted his diciples and everone to loose everything to gain him. I do not argue for every Christian to hurt themselves or thier families I am arguing that money seeking Christian leaders and doctrines are very different than what Jesus taught. The Cross was for loosers. Jesus wants us all to be crossed out so he can live through us. Expecting tithes makes leaders weak in the spirit becase it makes them earthly leaders comfortable and confident in money. Please tell many who Jesus directs you the freedom from demanded money from Christian leaders. Blessed are the poor in spirit Love seeks not its own but love suffers and believes all things love never fails. Christian friends Jesus wants the best leaders to know him in his sufferings He who wants to be the greatest must become the least. If Christian leaders expect a certain percentage anyone in the name of Jesus how is that different from earthly kings and polititians. Jesus expected persicution. James said count it all joy when you enter into divers temptations and persicution. Jesus became poor for our sakes Expecting and demanding tithes is not a recipie for becoming poor in spirit. I find arguing about old and new covenant or to tithe or not to tithe fustrating and become weighed down that Christians cannot agree. Is Tithing neccassary. Do I want Bibles spread all over the world for free? Yes. Do I want to attend church? Yes. Do I want my head pastor to live a comfortale stress free life so that he can run the church? Yes. Do I want my children taught by people who are dedicated to God? Yes. Do I want all the Pastors at my Church to be able to afford a house? Yes Do I want them to have children? Yes. Do I want their children to be happy? Yes. Do I want them to try have wordly careers and try run the church? No. Do I want the Church building to be maintained? Yes. We have a 2+5 collection which goes to all the members struggling financialy in our church, do I want them to have a good life? Yes. Do I want our pastor who heads the missionary department to spread the word of God all over the world? Yes. Some members who wish to attend church are bussed in, do I want them to worship God with me and share His word with me? Yes. I could go on and on and all my answers would be YES. ALL OF THESE THINGS COST MONEY. WE MAN HAVE OUR PART TO PLAY AND GOD WANTS US TO DO IT WILLININGLY AND JOYFULLY. TO TITHE OR NOT TO TITHE. I SAY TITHE. .-= Andes´s last blog ..Charity: Who Cares? =-. Andes, Charity: who cares? God cares, Isaiah 58, Jesus cares ” go and sell all that you have and give to the poor…” ” I was hungry and you fed me, naked and you clothed me… “Matt25:31-46. Andes, you need to get rid of that well fed and well-dressed pastor. he is not feeding you on the word. If God, Jesus, the Holy Spirit and the Apostles care about charity, why can’t you or better still WHO ARE YOU NOT TO CARE if truly you are a believer? In addition to the knowledge you have gathered from here, I urge you to read The Tithing Dilemma and the Triumphs of Love to see how love works. The tithe has very little space for love. You see plenty of examples in the bible how spirit led and freewill giving can do everything that you’ve mentioned. So why do we need tithing enforced? .-= steward´s last blog ..If Tithing Looks Like it & Acts Like It =-. For years I have tithed and given offerings but have felt it was more out of duty. 10% should not be an issue. 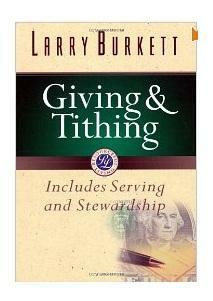 After doing in depth study I believe tithing had its place in the levetical Prieshood and not the New Testament. I will continue to give and not pay as Abraham did. Our Covenant is a better one than the Old and the promises that go with seedtime and harvest time are awesome. Tithing can scare new believers and put condemnation on those in debt. Teach those struggling the principle of free will offering from a joyfull giver and the rewards from the Grace from giving and teach sound money management. Let them see and experience the Grace of God as blesses them and the 10% will not be an issue as they will get debt free and be in a position to give more and contibute with joy to meet the needs of ministry. What a better way to build the ministry by the Grace of God instead of the Law of tithing that is taken out of context. When ministers use the Tithe to minipulate the saints they are inviting all mannor of evil into the congregation. Teach on been a joyfull giver that pleases God. The silence is deafening…so clearly they didn’t. They actually taught other priorities ie 1 Tim 5:4 says that our FIRST obligation as christians is to provide for our natural families. Jesus taught this too by teaching that Corban practice transgressed the 4th commandment just as ‘money tithing’ teaching today does. Paul says that those who do not look after their extended families are worse than unbelievers. There can only be one ‘first’ in regards to financial obligations….and it is family in the New Covenant. Yes we LOVE God first….and He is first in our lives….BUT financially this is demonstrated by providing for our families needs FIRST! Very good look at it Chris! Do you realize that if just ten families would put in a tithe of about $200 a month to helping the poor, etc..in their own communities that you would have given $24,000 in a year to bless your town and show people the love of Jesus for them! This includes your needy Christian brothers and sisters, because they have become part of you. This is what james calls true religion, and God calls it a true worship Isaiah 58 and many other scriptures and true giving to Jesus Matt. 25:31-46. The Lord wants us to demonstrate His love and our s through care for others. Anything else is just religion. These are wonderful comments on this controversial issue. I must agree with the host that debate is healthy, especially concerning the financial tithe. I hope it is okay for me to invite you to read my book, “What Preachers Never Tell You About Tithes & Offerings: The End of Clergy Manipulation & Extortion.” You can get the print copy from our website, or you can get an ebook copy at Amazon Kindle. Don’t worry–you don’t need a Kindle to read the ebook. I appreciate the conversation. If I can answer any questions concerning this church tradition, please contact me at ehill111@comcast.net. That is the problem of depending on others to teach you. You can be filled with rubbish and become constipated. By the time you find proper food , your belly will have had no more room. It is not a question of what preachers teach you, but rather, what does Jesus and the Holy Spirit say? He says” Those who have ears to hear let them hear..” He does not say “those who want to be taught be taught” The only only teacher put forward is the Holy Spirit who also uses the Holy Spirit- led and sent teachers. Read the Book. THE TITHING DILEMMA AND THE TRIUMPHS OF LOVE. This book discusses giving as taught by the Lord, and not as taught by men.Hear what the Lord says on this matter. Many arguments in support of the tithe emanate more from reason than from scriptures. All that the Lord has said has gone through the window. They have been replaced by what we think and what the people we respect tell us even if they go against the WORD. I would like some of you to read the book I have mentioned and hear what you will say. What the Lord has said has had no effect hence the lack of love and care among the Christians.